← Did You Know That? Who Are These people? Mr. Harper my name is Arche Mdis and I am from Montreal Quebec. I was a little concerned writing this letter because bad things keep happening to people who disagree with you publicly and do not support you blindly. I guess I just need to know why you are doing to the country what you are doing to it. I know you love America we saw that when you betrayed our forest industry and Canadian workers and settled the soft wood lumber dispute for less than the world court awarded us. You and your party have traded our reputation as a peace maker, a voice of reason and a country that could be trusted to do the right thing and brought us down to the status of a warrior nation and clone of the United States. Why sir do you wish to punish the poor and the less fortunate than yourself? Every law you pass is against the poor. You cut budgets to everything decent and helpful and have even set out to destroy our returning veterans. You pose with the native people of this country, dancing and taking pictures with them, while behind the scenes you and your party work hard to deny them what is theirs. The long gun registry, the firing of all who stand against you, your total disregard for law and all I can think to ask you sir is why? You are trying to stop the people of Canada from helping certain refugees and fighting to force non Canadian solutions to humanitarian problems down our throat. You and your party have wrapped this all up in a blanket of fear mongering designed to make us fear our Muslim neighbours and I think that you and your party need to be stopped by way of a vote of non confidence. If you continue along the path you have chosen that is destroying Canada, I think your picture should not be installed in the hall of the Prime Ministers and as in old times your name should be stricken from all documents and from all public spaces. There should be no memory of your having led this country to the most undemocratic, insensitive, non Canadian time of this country’s history. Did you ever fight in a war, or are you one of those behind the desk generals like ex-president Bush. It is not too late for you though, you could start acting like a true Christian who believes in God; God’s commandments and God’s promises. It is not too late to find the compassion you pretend to have and become a servant of the people, or you can remain the miserable excuse for a person that you are proving yourself to be and have an identical legacy to your buddy ex-President Bush. Maybe you can have an interview with David Frost like Nixon did? How does it feel to know that the Americans went out of their way to see that you did not get any support for your bid to get that United Nations security seat? You have been used sir by your friends to the south; they sense your political usefulness coming to an end and are leaving you to the mercy of your people. What kind of people have you made ministers in your cabinet? I have watched their behaviour on CPAC. Live performances daily on how to interrupt and thwart the law and due process both in Question Period and in committee, by your MP’s. These ministers of your’s laugh at democracy and the Canadian people. They are shameless and look quite childish. Is having power affected you and your party so much? I was at a rally for the Conservative Party. It was at a golf course on the Island of Montreal just before a federal election. MNA‘s and the hopefuls were there and it was a nice day for golf. After the game while having cocktails my partner and I sat and chatted with some of the younger members of your party. They discussed your party’s plans to do nothing about acid rain and global warming. They said that by time the problem was life threatening they would be long gone, dead and buried, so why should they suffer the financial losses now that a clean air and water bill and laws would cause. Let the children of tomorrow worry about it, seemed to be the general attitude around the table. I guess our shocked silence was taken for agreement and the wine they were drinking started to loosen their tongues, because next they outlined your party’s strategy to deal with the poor and needy of this country. Welfare people were the scourge of the country and did not deserve a vote. They did not contribute and should have the rights of a person in jail. I told them that my mother was on welfare and raised her children alone and that sometimes people end up on welfare due to no fault of their own, but fault, or not they were still Canadians. It was then that they knew we were not of the same conservative mind-set as them and moved to distance themselves from us, but it was too late and it was the last time I heard the truth from any Conservative member of your party. I did send a letter to Jack and Michael and told them what I thought of them as well. Maybe I will give each of you a copy of each others letters and see what the truth does to politics; we know what lies do. Have a great day and thanks for letting me vent. This entry was posted in abuse, abuse of power, abuse of women, Abusers and Getting Well, Authority figures and Parents Who Sexually Abuse children, Banking, Beat Cops, Canada, Cancer, Child Abuse, common law marriage, Crime On The Rise, domestic violence, drugs, drugs and children, Free Community Services, Gay pride, Government, Grand parents, Marriage In Its Many Forms, Moving Day In Quebec, Prejudice, Quebec Sponsored Genocide, Quebec's Abuse of Its None Quebecoise Residents (Other Canadians), Rotten Deal For Seniors, Schools and Learning Places, Security and Public Transit, Teachers, Terrorism, The Church, The work force, Tourism, Uncategorized, United States of America and tagged Afghanistan, Bloc Québécois, Canada, Canadians, Conservative, CTV Television Network, George W.Bush, Government of Canada, heavy handed tactics, history, Jack Layton, Jim Prentice, Member of Parliament, Michael Ignatieff, Organisation internationale de la Francophonie, Ottawa, Parties, political games, politicians, politicians power, politics, prodedure, Stephen Harper, stepping up to the plate, Ukraine, United Nations Security Council, United States, Viktor Yanukovych. Bookmark the permalink. Thank you for your comment. Do come again. Please enlighten me where is the middle ground, or the common ground as you see it when it comes to all of us having the basic things that we need to live and survive. Please tell me where do we draw the line when it comes to everyone having the right to exsist, the right to go to bed with a full stomache and the right to drink fresh water. Tell me please so I can understand why it is that we seek compromises to giving what is needed, instead of just doing what is right. There can be no compromise to basic human values if the world is to live in peace. In my opinion the chase of the elusive carrot must stop and the suffering and needs of our neighbors must be addressed if we are to survive and share this planet in peace. Strange this post is totaly unrelated to what I was looking google for, but it was listed around the first web page. I guess your doing some thing right if Google likes you sufficient to put you around the 1st web page of a non related search. Hello, this is a seriously fascinating internet weblog and ive loved reading several from the articles or blog posts and posts contained upon the internet site, maintain the great operate and hope to learn a whole lot additional exciting content articles in the time to come. Welcome back and glad I could help you out. Good luck in you studies and may God bless you and your family in the new year. Have a nice day. Hello, this is really a definitely fascinating internet weblog and ive loved reading several with the content articles and posts contained upon the internet site, sustain the great do the job and hope to examine a lot much more exciting articles or blog posts within the time to come. Guy, talk about a fantastic post! I?ve stumbled across your weblog a few occasions inside the previous, but I usually forgot to bookmark it. But not once more! Thanks for posting the way in which you do, I genuinely recognize seeing a person who in fact includes a viewpoint and isn?t really just bringing again up crap like almost all other writers right now. Maintain it up! Super-Duper site! I am loving it!! Will arrive back again – taking you feeds also, Thanks. Working in good faith requires a willingness to do so by all stake holders. It requires a willingness of the politicians to put their country and people above their ambitions. I do not think this is possible with the government now in power in Canada. The lies; the total disregard for the Canadian people and our way of doing things in government and at home is clear and dispicable. Power and being in control is all this government sees as its priority. If there was ever a time for a change it is now. Have a good evening and all the best to you and yours in the new year. Unusual this post is totaly unrelated to what I was looking google for, however it was listed around the first web page. I guess your performing something proper if Google likes you sufficient to place you on the first web page of a non related search. Hi just thought i would tell you something.. It is twice now i?ve landed in your blog inside the final 3 weeks searching for totally unrelated things. Wonderful Information! Keep up the excellent perform. Thank you very much Abby come as often as you like it is one of the few free things left lol. Have a great day! Thank you for your comment. You do have it, we all do. We need only say what is in our heart and on our minds. In time if you keep at it you begin not to be afraid to speak and just let your thoughts flow. It is like walking, it all starts with the first step. Have a great evening and never let the fear of not saying it in a certain way stop you from expressing how you feel. Just found your Internet page through google and i consider this may be a shame that you might be not ranked upper due to the reality that that is a wonderful submit. To swap this i determined to steer clear of losing your Internet website to my Rss reader and I’ll try to point out you in one of my posts since you actually deserv extra readers when publishing content material content of this high quality. Thank you for those kind words and thank you for passing on the word. Keeping people informed has become the job of us who write for free what we feel as the more conventional media has been bought and paid for and is no longer interested in social issues, being the eyes and ears of the little guy,or standing up for the rights of the citizens of a country,or reporting the injustices done to the weak by the powerful. Instead they have become the instrument of the rich and powerful, interested only in market share. Thank you Angela have a great evening and come as often as you like. Feel free to pass on what ever you think is worthy. Super-Duper web site! I’m loving it!! Will arrive back again – taking you feeds also, Thanks. Thank you very much and enjoy. Have a great evening! Glad you do and you are welcome. Thank you have a nice day! Truth getting out there now and Tony Clement sure did well for his riding at the expense of the people of Toronto and the tax payers of Canada. Thank you and pass on what you think will help and what you beieve to be true. Every person can do a part to make this world a better place. If you prefer not to write, but see what you believe in another’s writing pass it on. Getting the word out there is half of the battle. Educating people and making them aware of what is going on is a good first step. Have a great day! Thanks for your comment. Have a great evening! Thank you and enjoy the site. Have a great day! Come as often as you like. Have a great day! Thanks glad that you do, because politicians need to know that we are at least aware of what they are doing. I for one want to remain Canadian with all of our faults. Have a great night and thanks again for your comments. Good evening , yes it is and thank you. I think that all politicians have their own agendas and are guilty of making promises that they never keep, but this party led by this Prime Minister does not want to use parliamentary procedure on anything. Just now he is trying to say that he needs no vote to keep our children going to Iraq as long as he words the request a certain way; saying peaceful mission instead of combat mission. I do not know everything, but I know in my heart that he wishes power more than what is good for all Canadians. Just my opinion have a great evening. Some from the internet, but mostly from a program on television called CPAC. It is live television from the House of Commons Question Period, the scrums later and there is always the live brodcasting from the committiees. Politicians are not worried about us the voter disaproving of their actions and their behavior. Like a cat with its head burried in a blanket and his rump sticking out;, they think we can’t see them because they can’t see us. Hi there, sorry about the detail but, I was just sharing a letter that I wrote to Prime Minister Harper with you so that all could see that it is within your rights as a voter to write to these people, these politicians and it fact it is all of our duty to at least try to make them see us. Write your politicians and tell them how you feel and go into all the detail you thought that I missed. The world needs people to get involved and I know you can do it if you try. Thank you for your comments. Have a great day. Thanks and have a nice evening. Feel free to come and go as you please. Share what you like with whom ever you like. My only goal is to get the word out there to as many people as possible. I n this way no one can say they did not know. Geetings to you, and thank you so much for the kind remarks. I will certainly keep on writing and sharing my thoughts. Have a great day and please drop in on my site as often as you like. Visit my slideshows and walk with me as I visit the nature parks of Montreal and Quebec. or learn more about me and my childhood experiences and lessons on pages 1 and 2 in the story titled, “The Beginning Years”. I have no secrets, my life is an open book. Thank you just sayng what I feel. Have a great evening. Thank you and yes it is for free. Somethings are just best that way. Have a great night! Thank you glad you enjoyed the post. Have a great evening! Thank you Rosita, I feel that not enough people say what is on their minds, because they think that no one is listening; so nothing gets said and nothing gets heard. Canadians are famous for screaming for 10 minutes about things that really bother them and then forgetting about it. Canadian’s are guilty of accepting whatever was bothering them; no matter how bad; no matter how unjust; no matter how non Canadian it is and adopting the position of, ” that is life what can we do?”. That is why the Canadian press rarely does a follow up story, no matter how loud the public out cry in the 1st few days. Politicians feel they do not have to take us seriously when we get mad, because they know it will blow over in a short time. Have a great day! At the top of each post there is a subscribe button hit it and it will do the rest . Have a great day! Fahrrad, unfortunately the United States of America is against Government Assistance of any kind and it has made it clear long ago that it wanted the Canadian government to cut back on it’s minimum wage it’s UIC benifits, its welfare and its Medic Care program; in short all of its social programs. It claimed that us having all of this made it too difficult and expensive to compete and if they gave their citizens the same things it would drive up the cost of production in their country and hurt their bottom line. Up until Harper became Prime Minister, all other Prime Ministers told them to go stuff. 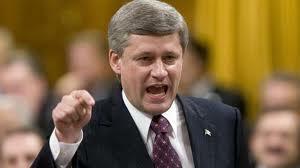 Harper is now doing what his masters to the south have demanded and this is the pinch you are feeling. Have a great day and thank you for your comment. Thank you and I will keep writing and doing what I can to change what I feel is wrong and support what I think to be right. I know I am sometimes not in areement with everyone, but I am always open to hear the other side. have a great day! Glad you like it read on and if you like nature I am on slide. have a great evening! I enjoy this internet site and will probably be coming back again. Glad you do. Come and go as often as you like. My site is free and open to all. Have a great day! Life is too short to be solemn all the time. So have a joke: You only need 2 tools in life – WD-40 and duct tape. If it doesn’t move and should, use the WD-40. If it shouldn’t move but does, use the duct tape. You are so right and I do try to remember that, but we all have a responsibility to right a wrong or do our best to make this world in a little better than we found it; not just for us but for everyone. I wake up every morning feeling sorry for some one and it isn’t because I feel like it; it is because so many people are suffering and it can all be avoided. I guess sometimes I find it hard to talk about things that make me smile when I live in a country who’s government is doing things to make so many people weep. I feel it makes me speak out. The fact that there is little room for a happy post for me is just and indicator that duck tape will not hold some things together and wd40 has not moved peoples hearts and minds; their eyes are still shut to the human suffering in their country and abroad. Thankyou for your comment and I will certainly keep it in my head, because you are so right. Have a great day and continue to throw people like me a net. We need people like you to make us smile. Thank you very much and enjoy the sight. Understanding is the path to peace, disagreeing just means we need to talk some more. To close the avenues of communication makes for misunderstandings and no one wins. Thanks for respecting my opinion I would however like to know what those fine points were? Have a great day! Howdy Yoshie no difficulties on this end and have had no other complaints of this nature. Check your pop up blocker. Have a great day! Thank you Cindy and have a great day. Talking things out in my mind and trying to help just a little. They can ignore me, but they can never say that no one complained.